We are proud to call North Carolina our home, and our operations are based out of Raleigh, NC. Where we have practiced architecture and created projects, and where we currently have projects underway. Each state may determine the nomenclature for a 'License' or 'Registration' as an Architect, and some states require both. 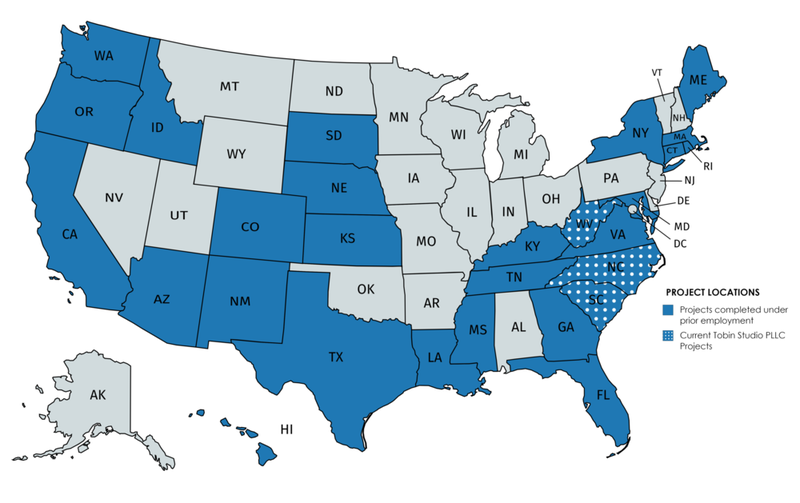 We hold an NCARB Certification, which allows reciprocity across states; former state licenses were given up due to lack of active projects or solicitation of work.